Becky co-developed The TEN with Professor Kay Politowicz and the team at TED between 2006 - 2010. 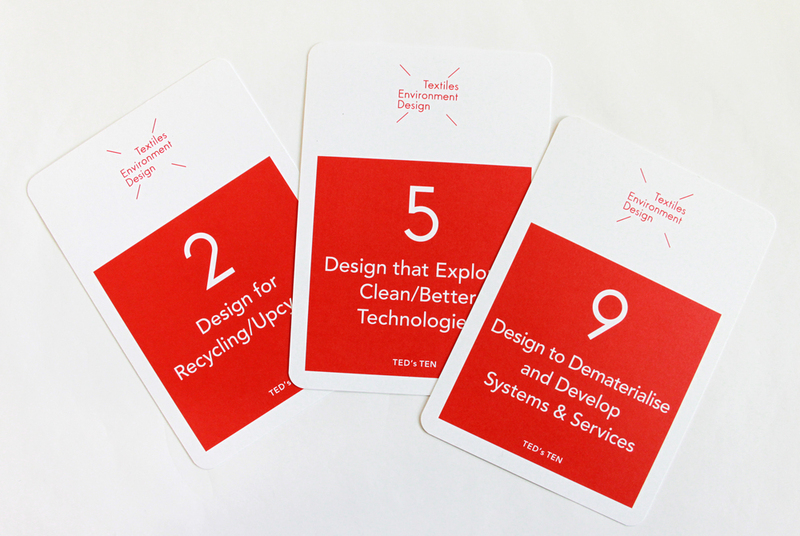 The TEN are sustainable strategies which aim to help designers reduce the environmental impact of textile design, production, use and disposal. Intending to educate and inspire users to make more informed and innovative decisions, Becky uses design-led methods - including ‘Layered Thinking’ - in workshop scenarios to systematically reconsider the decision making process. The TEN are not a check-list, but rather they are a framework for creative thinking and action. As ideas emerge, The TEN can be used to develop layers of reflective thinking and review - a chance to redesign and improve, or simply to communicate concepts more clearly. The TEN emerged from a practice-based and collaborative approach over many years; and are perhaps best used when supporting teams in the design thinking process behind the creation of new prototypes which test potential solutions for a more sustainable industry. Recent research and industry projects have begun to evolve The TEN from prompts for small to medium size design companies into scalable concepts for design teams to adopt in large corporations in the UK, USA and Sweden. This exciting development enables the research team to constantly evolve and adapt The TEN - tailoring them to suit needs, contexts and circumstances. Becky talking through how to use the cards with young designers at Konstfack, Stockholm. The TEN are available as a set of cards - in English, Swedish or Chinese - to purchase from the TFRC website.